Associate at Murta Goyanes Advogados, Iago has experience in public agencies and financial institution, with emphasis on civil litigation, acting with contracts, copyrights and administrative law. 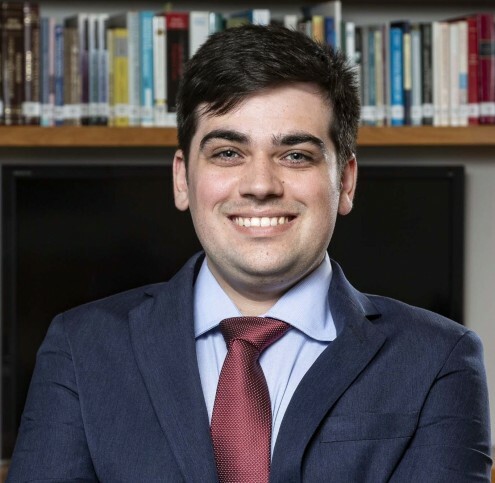 Iago achieved the highest grade for his Bachelor of Laws final course assignment and joined Murta Goyanes internship program in 2017, from which he has been promoted to associate. Iago assists domestic and foreign clients, with emphasis on legal consultancy and advice in the fields of Copyright, Contracts and Regulatory for the audiovisual market. Bachelor of Laws degree from Ibmec/RJ.